Rewind to 15th September, 2016 – Amazon Launch a promotion for the Echo for £99.99. I grew up watching StarTrek on a Friday at 6pm on BBC 2, I loved the ships, the Utopian setting for the most part and the technology. With my farther being an engineer, tinkerer and inventor, I loved the characters of Geordi La Forge and Montgomery Christopher Jorgensen “Scotty” Scott. I think I must have seen Star Trek IV: The Voyage Home about a hundred times. And this was on VHS with advert breaks and all! I always remember how ‘quaint’ the scene was with Scotty attempting to use the computers of the past. And since then I’ve been hopeful that one day I could hold a conversation with my computer, instead of just endless pictures of spaghetti (See 00m31s). 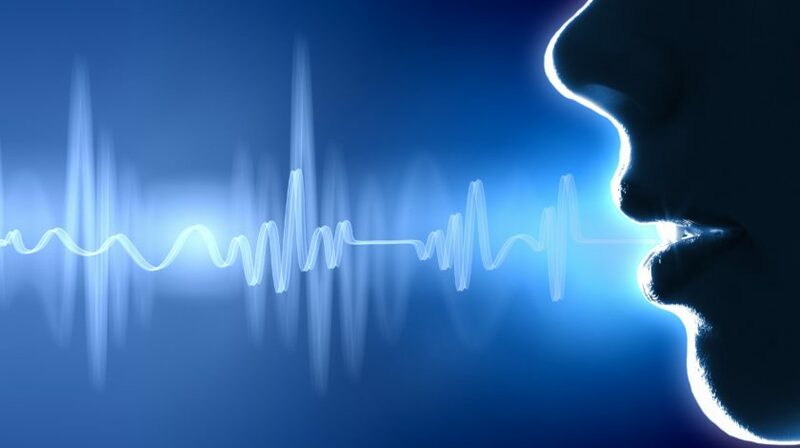 I’ve tried most voice command systems over the years, starting around windows 3.1 with a 16 bit sound driver, through the various iterations of Microsoft tech, my own attempts with Microsoft Direct-Speech OCX / DLLs and to the pretty good “Okay Google” / “Hey Siri” implementations. – They all suffer one pretty huge drawback. The hardware that does the audio sampling was never designed for room scale. 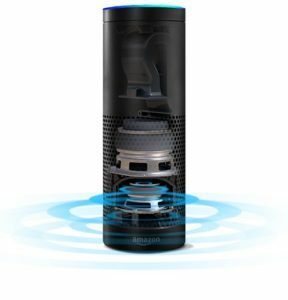 That’s what really impressed me with the Echo, and why I ended up getting one. So, it’s good, but what can it do? We lived with Alexa, and it’s become part of the household – Where I have to remember not to go randomly shouting “Alexa, what time is it?” when I’m not at home. Unfortunately after a few weeks, the amount of applications failed to impress, and our “Alexa” had become a cool, but expensive alarm clock and voice activated music system. One of my colleagues has been running various LightwaveRF and Philips©Hue products. I’ll admit I was jealous, but a turn-key solution seemed too simple, and if I’m honest too expensive to be justifiable as if I was going to do this, I want it everywhere, and not just one room, or one subset of devices. I started researching, there didn’t seem to be one solution that could do everything I wanted. The Samsung SmartThings hub, and Logitech Harmony Hub came close, but the closed eco-system didn’t really appeal. 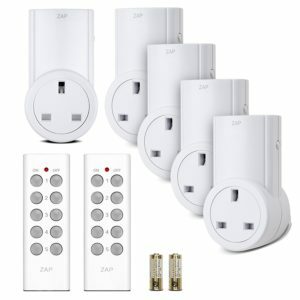 There are many “dumb” devices that are cheap, relatively reliable and seem under-utilised in the race to the internet of things. I’ve been using 433Mhz RF Remote controled sockets for some time, to switch a simple fan, hard to reach sound system and the bedside light. There had to be a way to hook it all up together, and indeed after a bit of googling there’s this Energenie Pi-mote Remote Control for Raspberry Pi at ~£10-£15 however it only allows one method of communication. If I’m going to go down the route of a Raspbery Pi based automation bridge, what else could I get it to do? A little more research and I found the Linux Infrared Remote Control project, and finally the Mi Light 2.4Ghz RGBW lightbulbs. Infrared – Control of non smart TV’s, the surround amp, and anything else that comes up. 433Mhz RF – Turns out that there’s a lot more 443 devices and sensors on the market! 2.4Ghz RF – There’s some interesting things being done with the nRF24l01+ including emulating Bluetooth and speaking the MiLight on air protocol. Queue lots of research and prototyping.